If we are to authentically grow as Christians and build a strong relationship with the Father one of the first steps is to realise we must be totally honest with ourselves. Be honest. Know your patterns. Recognize your typical excuses, rationalizations and justifications for those besetting sins. As we do this we may come to realise why you read the devotional from January to December but deep down you know your Christmas service did not last till Easter and you experienced no meaningful and lasting change within. We are so quick to blame the enemy but sometimes our lack of introspection sabotages us. We can either see it like it is, or just live with the same old Christian routines and tired excuses and refuse to grow. 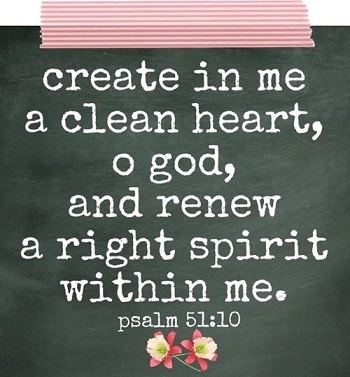 I love what the scriptures in Psalm 51:10 Create in me a clean heart, O God, and renew a right spirit within me. David saw, more than ever, what an unclean heart he had, and sadly lamented it; but he sees it is not in his own power to amend it, and therefore begs God would create in him a clean heart. When we look at ourselves and acknowledge this change is necessary,when we desire renewal to holiness as much as the joy of salvation we can read the promise of God to that purpose, then begin to ask it. Help yourself by evaluating your life, behavior and thinking. Instead of asking whether the way you are living, behaving and thinking is "right," ask whether the way you are living, behaving and thinking is working out your salvation.